HP informed Turbotek, the small business IT company, that "based on select criteria, as defined by HP, that Turbotek Computer Corporation is an Elite Partner. As an Elite Partner, Turbotek strengthens its relationship with HP allowing it to better serve its customers through improved pricing, delivery, joint activities and a better opportunity to provide education on HP offerings. As a Small Medium Business (SMB) Elite partner, Turbotek has demonstrated "best-in-class competency and an on-going commitment to the SMB market." According to HP, "these partners can help customers build robust solutions designed and optimized for an SMB environment." 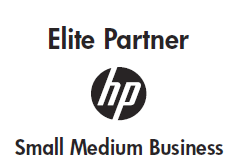 Through the SMB Elite program, Turbotek has the ability to provide same-day procurement and access to the most sophisticated technologies that HP offers. Turbotek's team of experts are highly recommended by HP. The company goes on to say that as an SMB Elite partner, Turbotek's technical staff "are specialists who have expertise, capabilities and SMB segment focus to help identify your technology needs, tailor unique solutions and guide your purchases. Sean Kline, Managing Partner of Turbotek commented, "during the past 23 years of operation Turbotek has had a long history with HP including becoming authorized to sell HP servers, desktops, notebooks, storage, becoming an HP Education Partner and many other milestones. We are delighted to tighten our relationship further so that we may better serve our customers."